Xin's Independent Trading from 5-23-2016: Once Again Silver Comes Through!! Xin’s Independent Trading from 5-23-2016: Once Again Silver Comes Through!! I am including some of my old personal trading experiences as a demonstration of the difficulties involved if you were to try to trade currencies on your own. Most everyone who tries to trade by themselves loses money. For those who are interested in my trading adventures, read on. 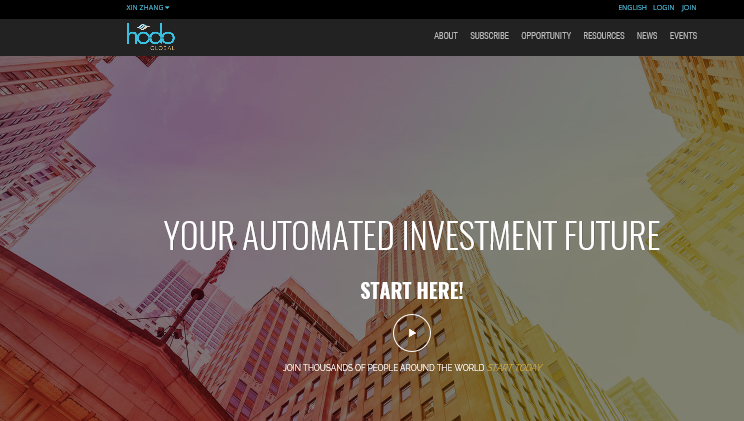 Everyone else thank your lucky start for the opportunity to profit in the currency markets thanks to Hodo Global and the RYZE.Ai artificial intelligence. Today was a good trading day. Once again Silver and the Swiss Franc came through for me. Check out all the action below. I took this trade on the third green bar after the D point. It seems to be shaping up nicely and is getting close to the first profit target. This signal hasn’t yet given enough of a confirmation to enter the trade. I will watch it and see how it develops. This trade is the same as the one above. It looks like it could be good, but I need further confirmation of the move downwards before entering. This has given no indication that an upwards move is underway. Cannot enter the trade at this point. So far today many potential trades, few actual confirmed signals. This trade moved very fast at the beginning. I got into the trade more than halfway to the first profit target and was ready to get out if it switched direction. I put my profit target at the second one only as I took only one position since I got in higher than the ideal entry point. It hit my target profit a couple of hours later during the night. Now I took the trade. If you remember earlier I was looking for a further move downwards and I got it. Let’s see how this one plays out for my two positions. I took this trade after the second green bar after the D. The Swiss Franc is usually good to me, so let’s see how this develops. I took two positions. This trade worked out very well last night. It hit all three profit targets, although I only had two positions and took profit at the first two profit targets. Still, a very nice trade. Another trade that worked out great overnight. Again this trade hit all three profit targets but I had two positions, as usual. The Swiss Franc trades usually work out well for me and this was no exception. I took this trade for two positions as soon as the upward movement on the red signal bar moved across the top entry line. It quickly hit both my profit targets. Silver is always good to me. I absolutely love silver! I was not available much in the evening and I didn’t get any screenshots. Today I am including some information on the Colorado Silver boom. The Colorado Silver Boom was a dramatic expansionist period of silver mining activity in the U.S. state of Colorado in the late 19th century. The boom started in 1879 with the discovery of silver at Leadville. Over 82 million dollars worth of silver was mined during the period, making it the second great mineral boom in the state, and coming twenty years after the earlier and shorter Colorado Gold Rush of 1859. Lessons Learned 1: Look at Different Time Periods for Same Trade. Always look at the different time frames for the same currency pair. If you are getting conflicting signals, stay away from the trade. Lessons Learned 2: Be Patient. You must wait for confirmation of the signal before entering a trade. Often during strong moves a signal will appear and the price will drive right through the support level and take out the stop loss. Patience is key. Quite a few trades today, and it was a very profitable day. 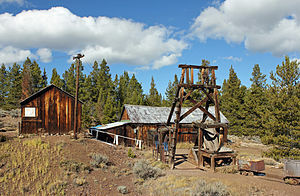 In the geography section I have included information on the National Mining Museum and the Colorado Silver Boom. I hope you find it as fascinating as I do. Once again as I always say, if you enjoy my past trading experiences, see more of my personal posts, if you prefer to make money and take advantage of the revolutionary RYZE.Ai program, view the videos below. Please Click Here to Watch the RYZE.Ai videos. This entry was posted in Xin's Trading Adventures and tagged currency trading, forex trading, Hodo Global, Ryze.ai, Xin Zhang on April 18, 2017 by Xin Zhang.